NIGHT DIVE ON ST CROIX US VIRGIN ISLANDS Dive The Pier At Night And You Might Lose Your Mind. Next to day diving this is absolutely our favorite type of diving. Night diving on St. Croix is spectacular, especially when it's the Frederiksted Pier. Octopus, seahorses, frog fish, bat fish, and lots of other rare fish and critters are all under the Pier. Boat night dives are scheduled for Monday, Wednesday, and Friday nights (or any night that two or more divers want to go). Departure times vary with sunset. 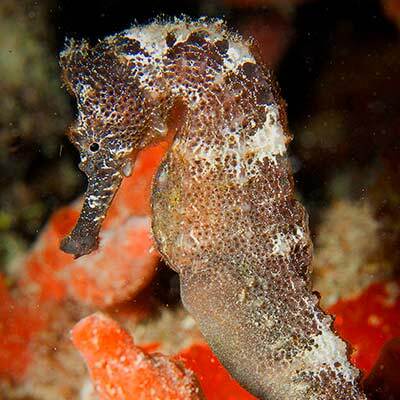 A Frederiksted Pier night dive can be scheduled just about any night of your choosing. 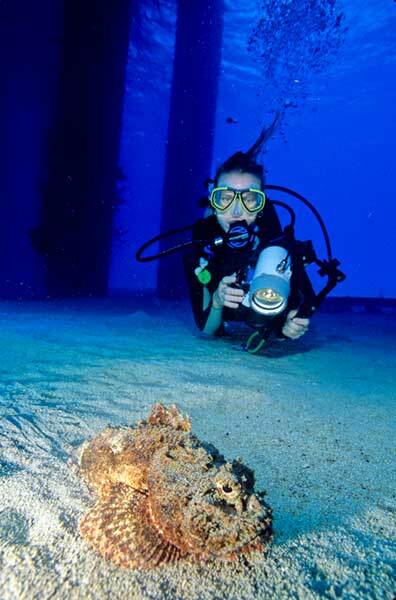 A night dive can be part of your PADI Advanced Certification, and three night training dives earns you a Night Dive Specialty Certification.